Tea is the most popular drink on the planet, after water. Its health and beauty benefits are amazing. However you drink it – black, green or white – tea will do you a power of good. 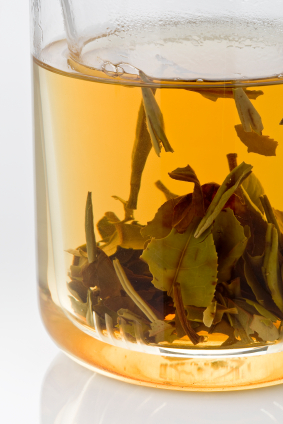 But evidence is mounting that white tea is the best of all. It turns out there is anti-wrinkle power in every cup. New studies have found that white tea is 10% more effective in preserving healthy skin than green tea. A recent study at Kingston University in the UK found that white tea slowed the breakdown of elastin and collagen. Whether you drink it, or put it onto your skin, tea is a beauty food of the first order. And white tea seems to be the best of all. So I use white tea in this yogi tea recipe that I make every day. I wouldn’t be without it! Are You Ready For Glamor Food?